Stage one of the OVO Energy Women’s Tour finished on the seafront in Southwold with Jolien D’Hoore of Belgium and Mitchelton-Scott winning the bunch sprint in her first race back after suffering a broken collarbone. 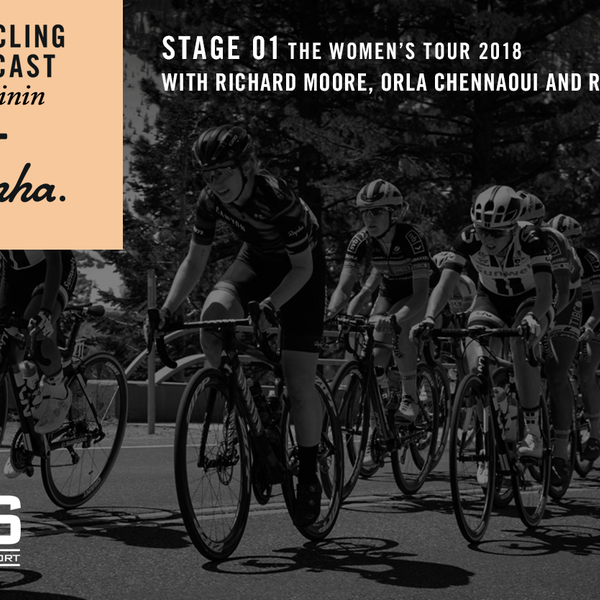 The Cycling Podcast Féminin reports from the finish with Richard Moore, Orla Chennaoui and Rose Manley analyisng the stage and looking ahead to the overall battle to come in the days ahead. We hear from stage winner D’Hoore and from the third placed Coryn Rivera. There are also interviews with Hannah Barnes and Pauline Ferrand-Prevot, the Canyon-SRAM riders who are both targeting general classification. The first stage was marred by crashes, and there’s news on Abi Van Twisk, who was badly hurt in the finishing straight and taken to hospital. And we hear from Katie Archibald, another rider returning from a broken collarbone sustained at the Tour de Yorkshire. The Olympic champion hit the tarmac on stage one but was unhurt.